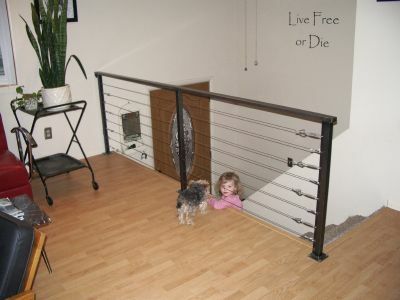 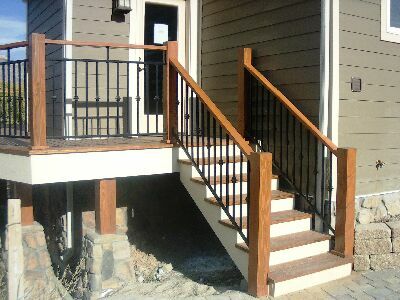 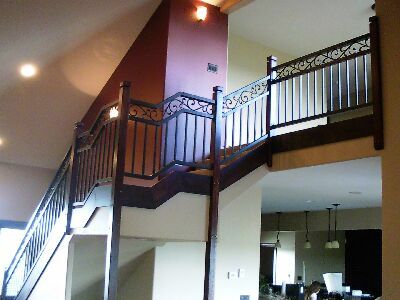 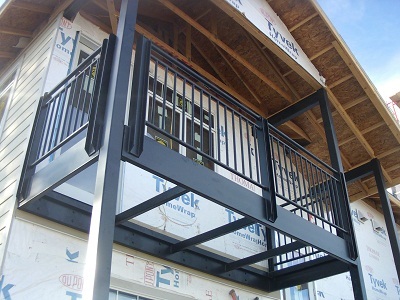 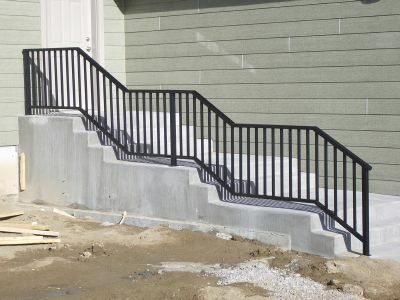 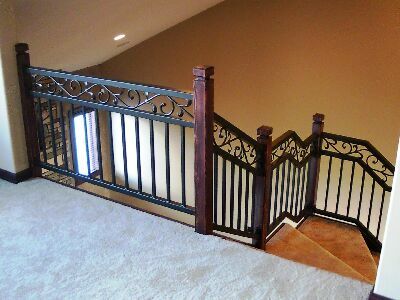 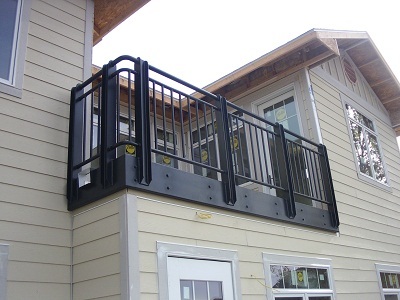 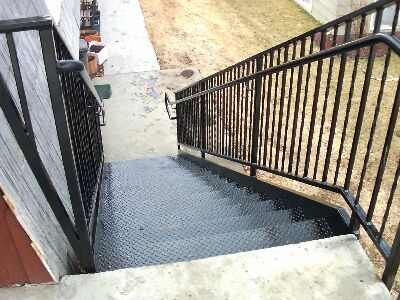 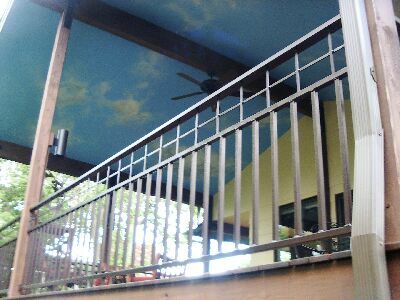 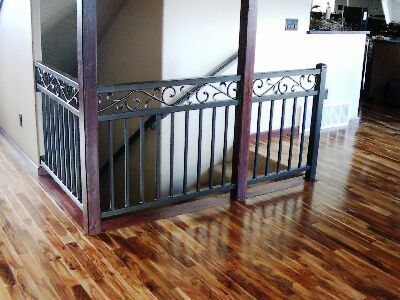 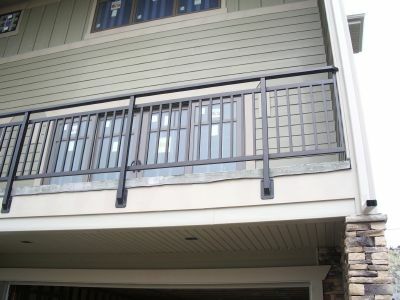 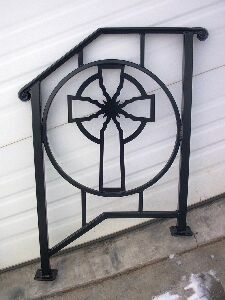 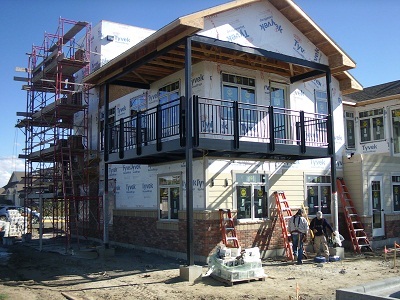 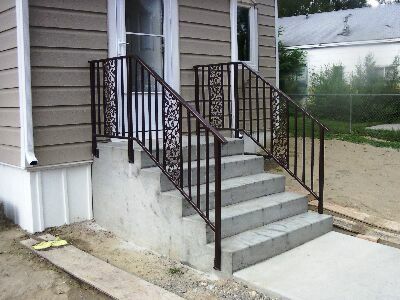 A railing that was designed from a picture taken of a New Orleans residence. 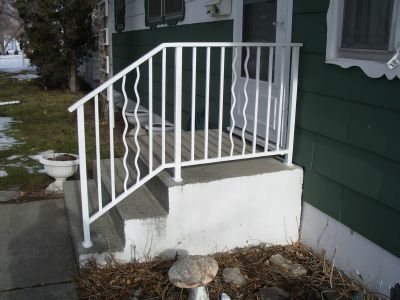 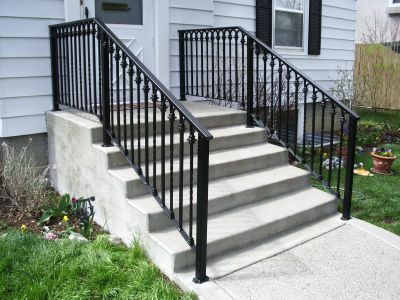 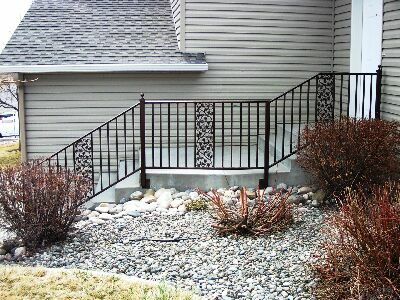 Unique railings on the porch of a four-plex. 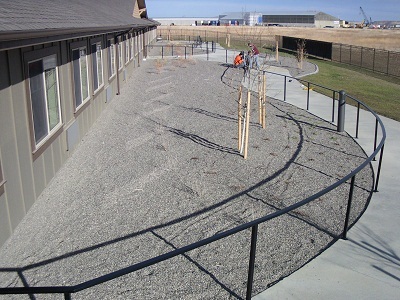 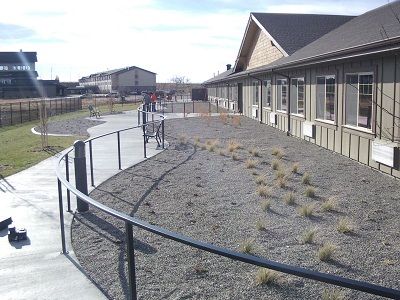 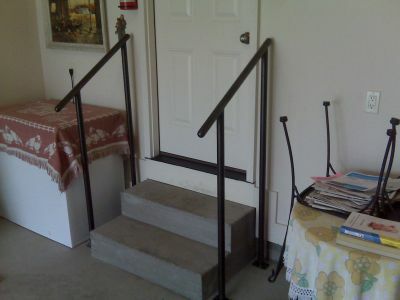 These are before and after pictures of existing railings at a preschool. 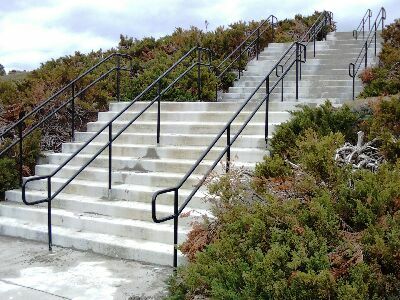 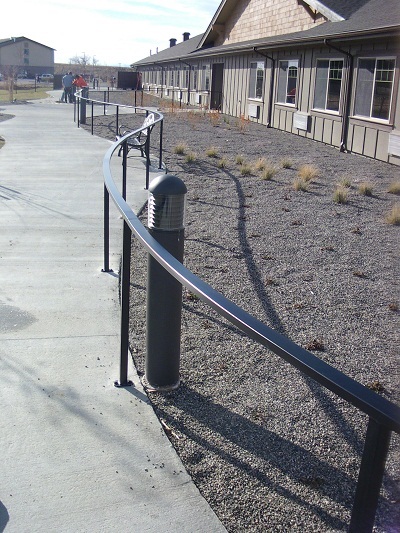 The customer needed a deterrent to stop skateboarders from using the railings as a skateboarding park. 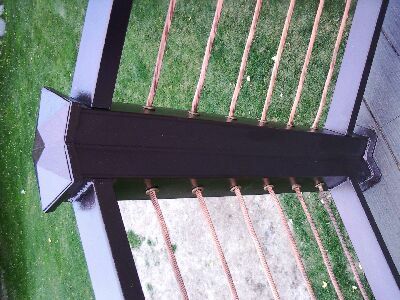 We welded decorative caps above each post so the skateboarders could no longer slide on the railings. 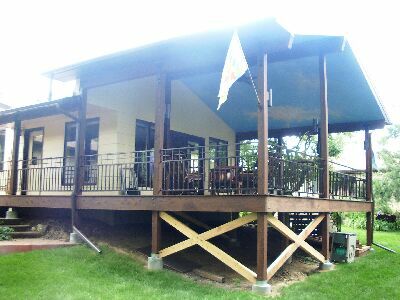 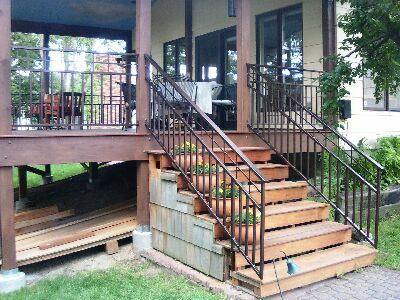 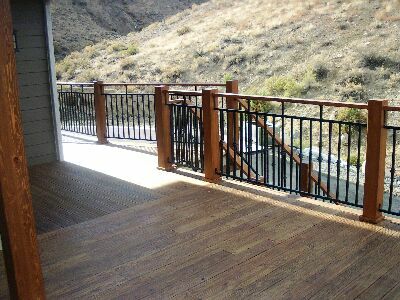 This deck (and steps) was built in one piece in our shop, sandblasted and finished with an epoxy paint, then set into place. 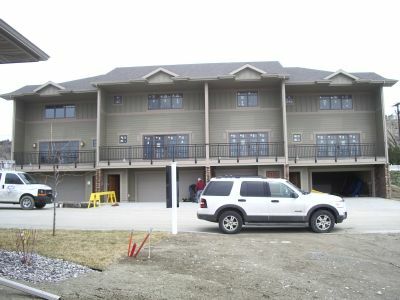 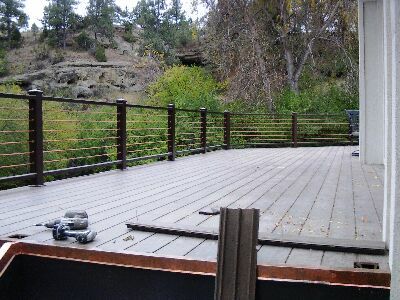 The customer then poured concrete for the floor of the deck. 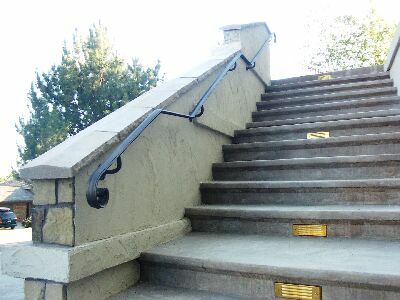 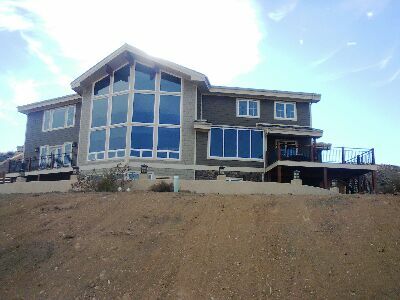 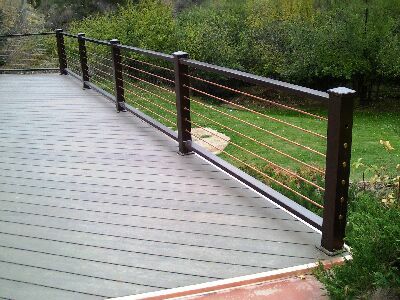 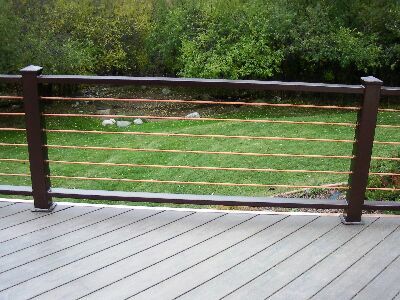 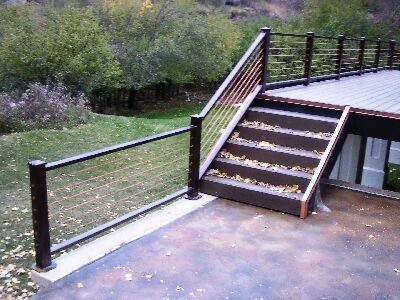 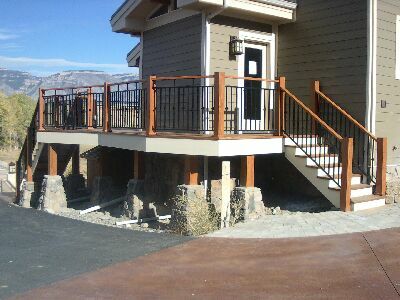 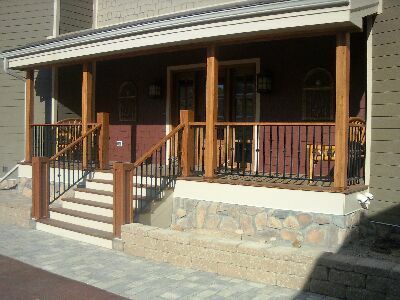 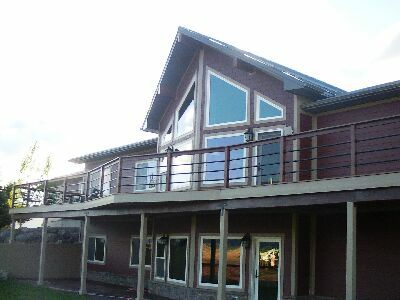 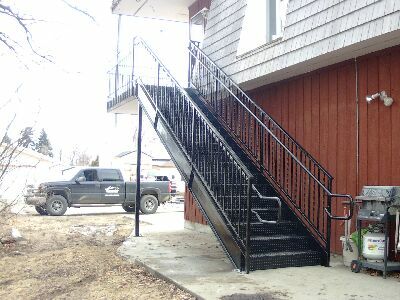 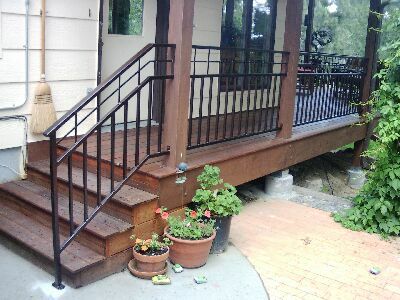 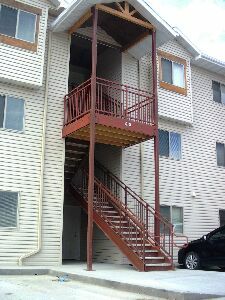 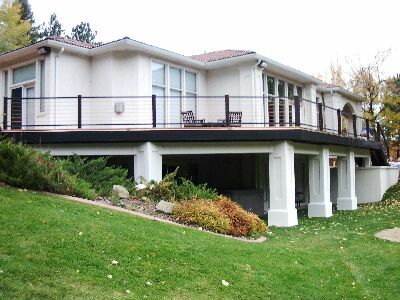 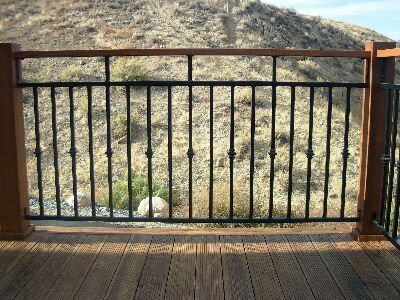 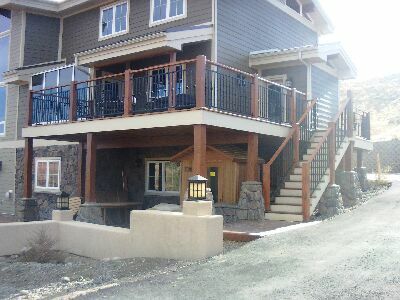 This is 130’ of railing for a house near Red Lodge. 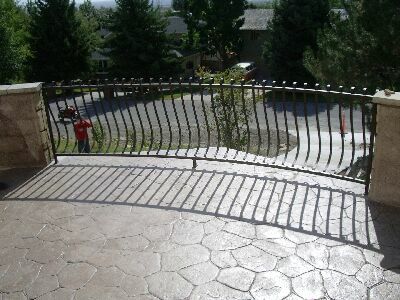 It consists of a round tube frame with wavy and hammered pickets. 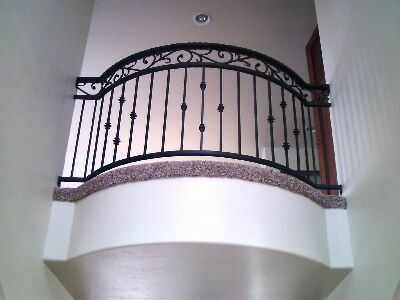 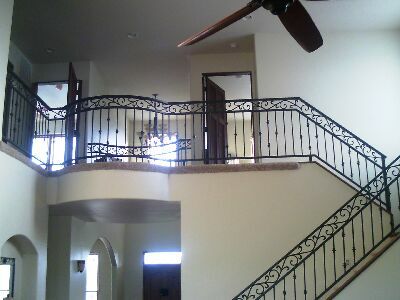 The railing was powdercoated to match the house trim.